The inaugural game at Allianz Field in St. Paul entertained nearly 20,000 fans as the Minnesota United FC played to a 3-3 draw with the New York City Football Club on Saturday evening. It was a sellout crowd with 19,796 fans constantly rooting on the Loons, who led 1-0 before New York scored a pair of goals only to see the United go back on top on a goal by Sean Johnson before the half. 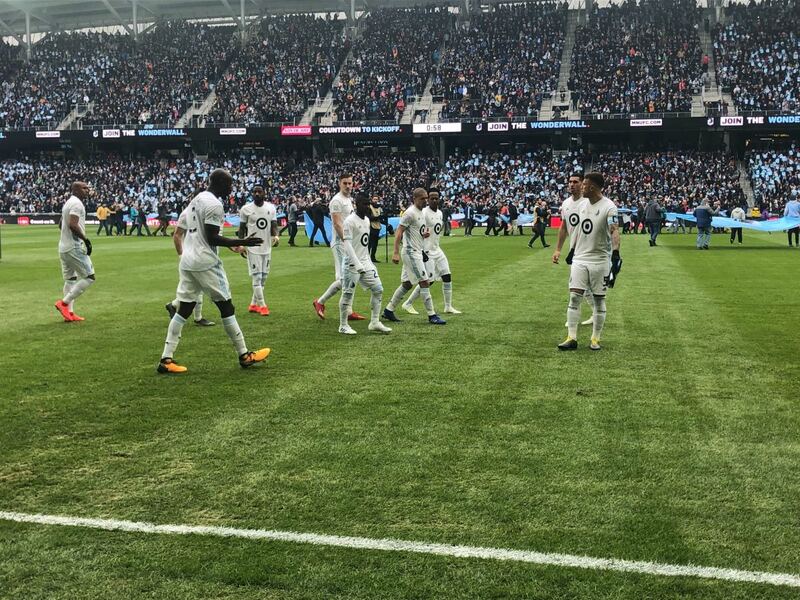 Osvaldo Alonso, Angelo Rodriguez and Johnson scored for the Loons, who began the season with three wins in five road games and now play nine of the next 12 at pristine Allianz Field. We&apos;ll have more to come. The record of 49,572 was set in 1972 at Metropolitan Stadium. It's the largest crowd for a soccer game in Minnesota history.